This Australian Research Council funded Centre is Australia’s largest research entity dedicated to automated composites manufacturing. The Centre combines world-class research capability with an exciting and connected research training experience to nurture and develop future innovators. The Centre aims to bring high-quality researchers to UNSW & ANU to establish thriving research programs as well as contribute to the industry-institute interactions. Currently, we are hiring Postdoctoral Research Fellows for our FOUR major research programs (2 at UNSW and 2 at ANU). 3. 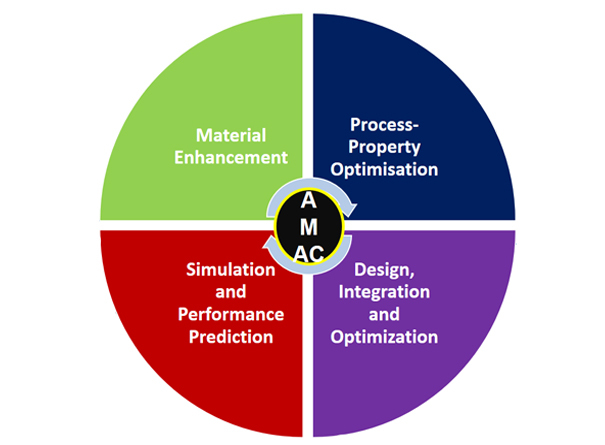 Simulation and Performance Prediction. 4. Design, Integration, and Optimisation. © 2017 Automated Manufacture of Advanced Composites . All Rights Reserved.